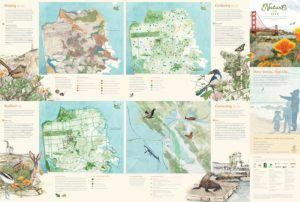 The current issue of Bay Nature magazine features a detailed and artfully-designed map by Nature in the City of San Francisco’s natural world. 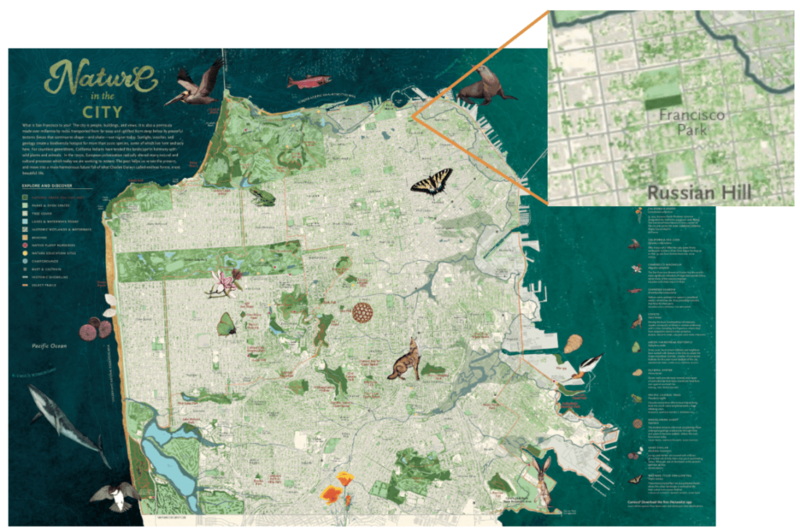 Amidst the native plants and animals, parks, wetlands, and waterways denoted on the beautiful graphic, we were thrilled to spot the new Francisco Park. 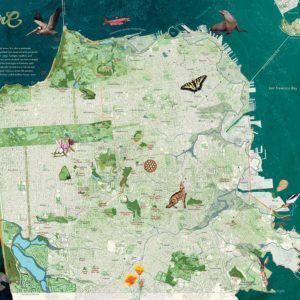 Our thanks to Amber Hasselbring, Executive Director of Nature in the City and a longtime supporter of Francisco Park, for literally putting Francisco Park on the map. For more information and to obtain your copy, go here. next post: Support Francisco Park while enjoying a delicious salad at MIXT this summer!